The health systems we enjoy today, and expected medical advances in the future, will be difficult to finance from public resources without major reforms. Public health spending in OECD countries has grown rapidly over most of the last half century. These spending increases have contributed to important progress in population health: for example, life expectancy at birth has increased, rising on average by ten years since 1970. The challenge now is to sustain and enhance these achievements in a context of tight fiscal constraints in many countries combined with upward pressure on health spending from factors such as new technological advances and demographic changes. Finding policies that can make health spending more sustainable without compromising important achievements in access and quality requires effective co-operation between health and finance ministries. Sound governance and co-ordination mechanisms are therefore essential to ensure effective policy choices. 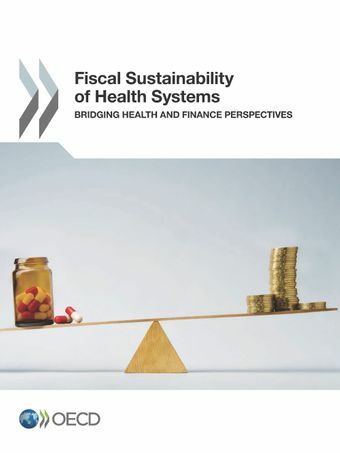 Prepared by both public finance and health experts, this report provides a unique detailed overview of institutional frameworks for financing health care in OECD countries. One of the main features of this book is a comprehensive mapping of budgeting practices and governance structure in health across OECD countries. Fiscal sustainability of health systems – Why is it an issue, what can be done?